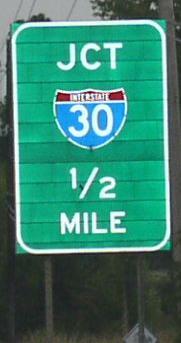 Interstate 30 is a east-west highway in Northeastern Texas. 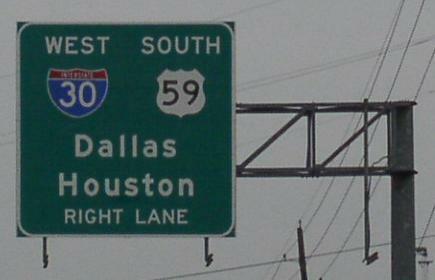 This is the main highway across the center of the Dallas-Fort Worth Metro Area. 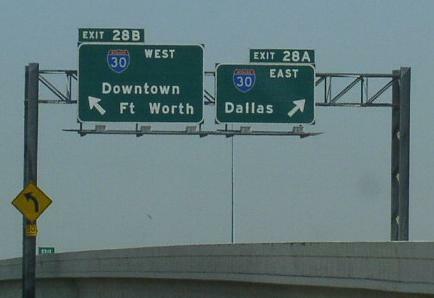 I-30 connects the State of Arkansas to Dallas-Fort Worth, and the rest of Texas. 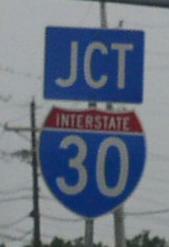 Interstate 30 ends at a junction with Interstate 20, near Aleoo. 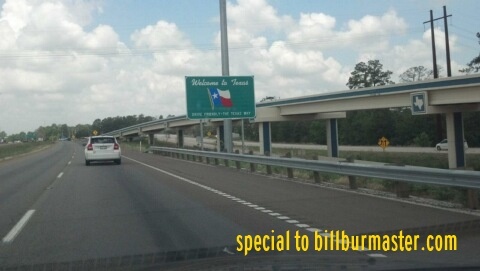 While in Texas, I-30 is multi-plexed. ...U.S. Rt. 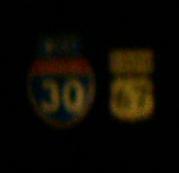 59, at Texarkana. ...U.S. Rt. 67, from near Weaver to Dallas. 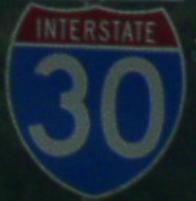 In Texas, Interstate 30 crosses the following interstates. 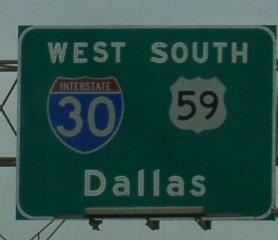 Interstate 35W, at Fort Worth. 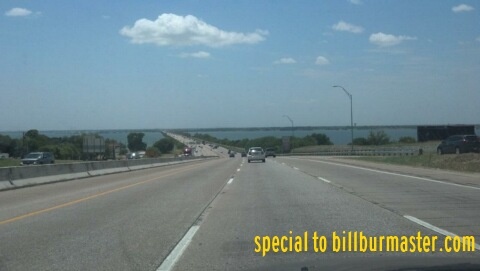 Interstate 820, at Fort Worth. 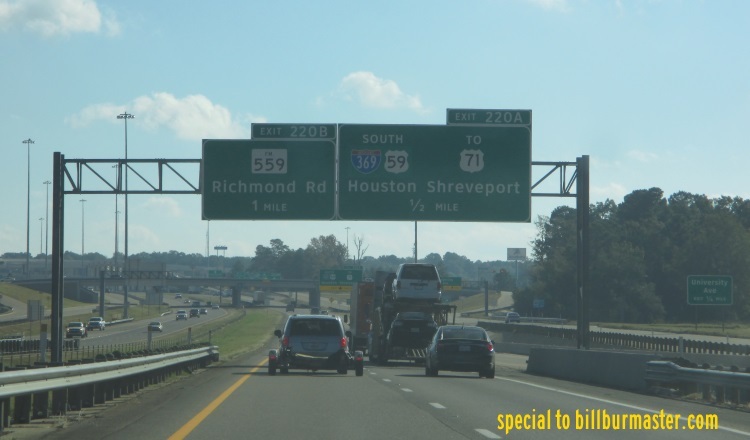 There are no branches of I-30 in Texas. Junction markers on SB U.S. Rt. 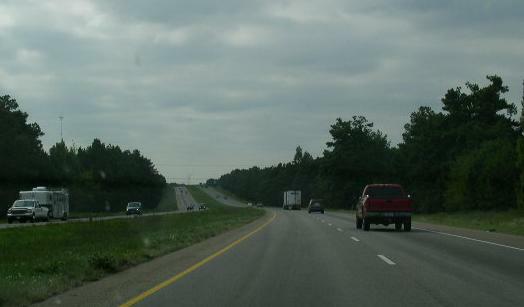 59/71 in Texarkana. BGS on SB U.S. Rt. 59/71. Overhead BGS's on the ramp from NB I-820 to I-30.